There is something sinister about an abandoned house. Houses are meant to be lived in. They silently carry history as they pass from one generation to another and from one family to another. 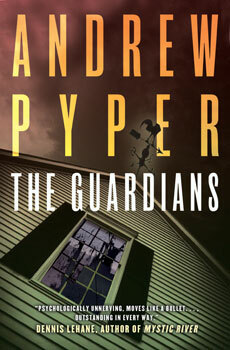 Something terrible happened in the old Thurman House in The Guardians (M)by Andrew Pyper and four young men were to carry this burden into adulthood. Trevor, Carl, Randy and Ben were typical teenage boys growing up in small town Ontario in the 1980s. They were nice enough kids whose lives centered around hockey and girls. Their friendship is tested early when Ben's father dies suddenly. They are a tight loyal group of kids. 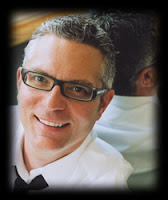 The town is shaken up when the young attractive music teacher disappears. Ben, who lives across the street from the abandoned Thurman House, has reason to be suspicious that something terrible happened to her there and the boys are compelled to act. What they see, or believe they see and what they do, or believe they do is so traumatic that they suffer the consequences 24 years later. They all suffer in one way or another, whether from failure in career or relationships, illnesses both mental and physical, and drug addiction. Ben, who had been watching and guarding the Thurman House for decades, commits suicide and this act brings the friends back to their home town again. Once Ben's sojourn ends, another girl disappears. This book is a departure for me. Horror is never my first choice, but with this book, I have to admit, I have never turned pages so quickly. Sometimes I turned the pages faster than I could read the words and had to go back and catch up. I'm not sure if the action was propelling me through the story or if I just found it so unnerving that I wanted to get through it quickly. Although never gory, it was creepy and disturbing to feel the characters' loss of control. The boys are compelled to make choices that you know are wrong and they know are wrong and as much as you yell at the book, they still make those choices. You never get the feeling that ok, now the worst has happened. 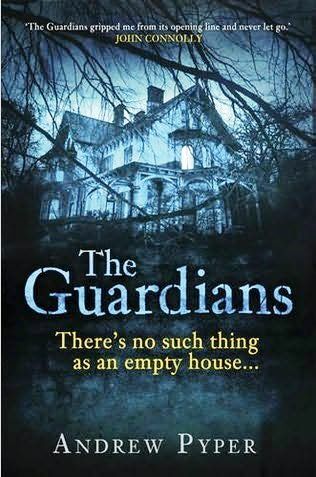 Although this is a haunted house story much in the tradition of Stephen King and Peter Straub, it is also a story about male friendships and about boys becoming men. The present narrative is told by adult Trevor and the past from his memories of his sixteen year old self. It is a coming of age meeting a midlife crisis. I live across the street from an abandoned house and could not read this book from my usual spot by the window.